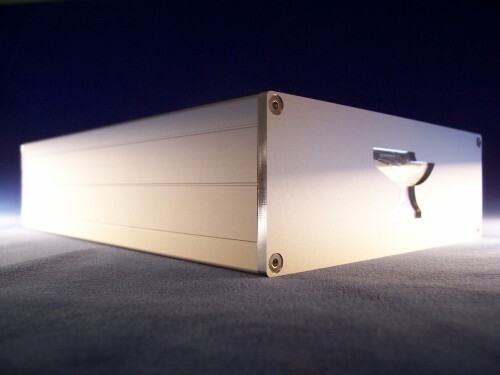 A review of our new Harpocrates amplifier! We are proud to receive the Audiophilia Star Component Award! Many thanks to Martin Appel and Anthony Kershaw of Audiophilia for their ongoing encouragement and support. Also, I would like to thank Mike Levy and Karl Sigman who were very active with associated equipment (i.e. Mike Levy’s FRM-1 loudspeaker) and with listening evaluations. The wonderful people and the honest, straightforward style have served to make Audiophilia my favorite audiophile publication! The Olympus boasts an impressive 2000 Wrms into 4O while still maintaining the miniscule 3.5 pound package of the HMA series. 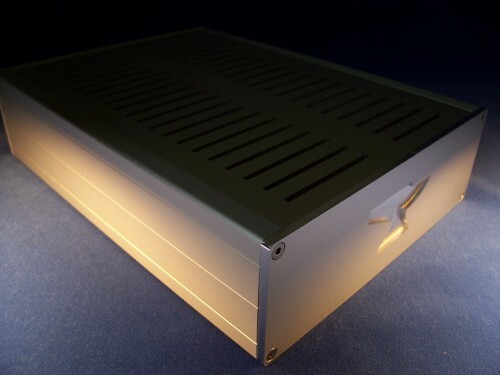 It also makes use of the premium chassis and connectors of the Keledones. Best and most important of all though, it maintains the amazing sound of the HMA series, so there’s no worry of sacrificing warmth and beauty for power and headroom. The Forge page has been updated to better call out the differences between the members of the HMA series. The naming convention has been simplified too – moving away from engineering-inspired names, such as the “HMA-1000”, toward, well, more name-like names! The series now consists of the “Hephaestus”, “Aphrodite”, “Keledones” and “Olympus”. After a little encouragement from Aphrodite, Hephaestus has decided to offer a version of the HMA-1000 that is aesthetically enhanced: The HMA-1000 Aphrodite Edition™! Now the coveted sound of the HMA-1000 is available with an aesthetic design that may better lend itself to certain audio systems. The Aphrodite Edition™ is available immediately, however every chassis is custom machined so please allow two weeks from the time of order for shipping. An upgrade option is available for HMA-1000 owners for the difference in cost between the HMA-1000 and the HMA-1000 AE ($500) – please email if interested. A review of the HMA-1000 from Audiophilia! Many thanks to both Martin Appel and Anthony Kershaw of Audiophilia. I have enjoyed working with them so much that I’ve decided to become one of their sponsors – here’s to many happy and fruitful years to come! A review of the HMA-1000 from the Stereo Times!!! I’ve been very fortunate to have this opportunity to work with Clement Perry. 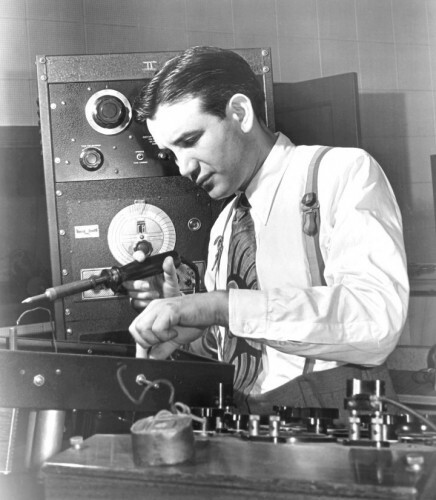 He asks great questions and has great observations – observations that have been very helpful in the development of my little amplifier. Thanks Clement! The word “green” is being thrown around an awful lot these days. Its excessive use is nearly as bad as the word “audiophile”. Regardless of the overuse and overmarketing of it though, it represents an important trend: efficient use of our resources. There’s nothing wrong with using resources, lot’s and lot’s of them even, as long as the use is efficient. There should be some sort of utility gained thereby. If it’s just being burned, then it’s not efficient. Hephaestus Audio’s products clearly fit the definition of “green”. They use a minimum of energy while delivering maximum utility (i.e. they are very efficient). However, we strive to go beyond simply developing products that are efficient. At Hephaestus Audio we currently derive part of the energy needed for operations from wind energy. 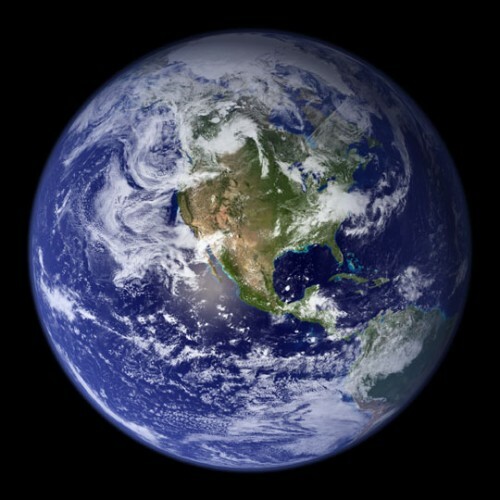 A goal for this summer is to provide an additional portion of the operating energy from solar energy. No, not an amplifier this time! 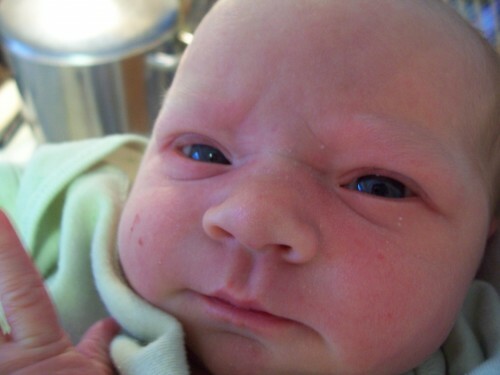 It’s my new little girl: Kilmeny Arianwen – born February 22nd, 2010. Mother and daughter are happy and healthy! 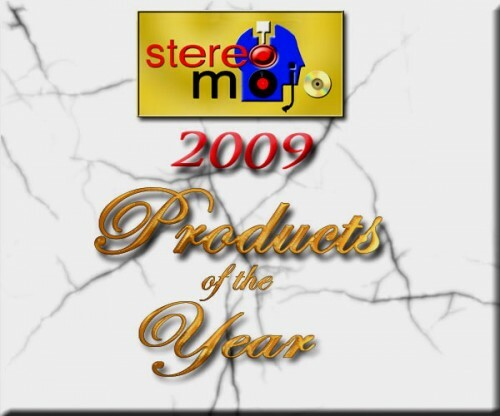 We received the Stereomojo 2009 Products of the Year award: Power Amplifier of the Year! Not only is Mr. Schuchard a wonderful reviewer, but also a wonderful customer! Is this how it has started for companies in the past? It’s so easy to fall into the trap of offloading some of the more tedious tasks to somebody else – somebody who doesn’t know or care about your customers – somebody who is only doing a good job because you are paying them to do so. There’s not a chance I’m going to do this! Big amplifier manufacturers may scrap more units then I will ever build, but I’m not going to change how I’m doing it. I like to know that my customers will receive something I have created with my mind and built with my hands. 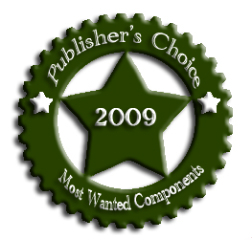 We received the Stereo Times Publisher’s Choice Most Wanted Components award for 2009! Mr. Perry is wonderful to work with. He gave me real-world feedback early on in the life of the HMA-1000 that was instrumental to steering it in the right direction. I’m thrilled to receive this recognition from the Stereo Times! Copyright © 2019 by Hephaestus Audio. All rights reserved. "Audible Ambrosia" and the Anvil Logo are trademarks of Hephaestus Audio.